Colorado Rockies (59-52, third place in NL West, 5-5 in their last 10 games) vs. Pittsburgh Pirates (57-55, fourth place in NL Central, 4-6 in their last 10 games). Freeland (5.1 IP, 9 H, 3 ER, 5 K) took the loss in his last start against the Cardinals. 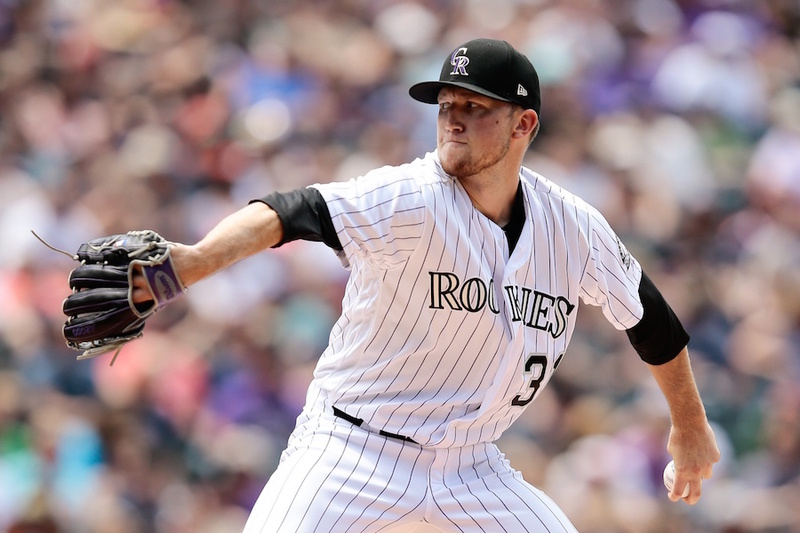 The Denver, Colorado native has been the most consistent pitcher for the Rockies in 2018; currently leading the pitching staff in ERA (3.20) and tied for first in wins with German Marquez and Jon Gray (nine). Freeland’s outing against St. Louis was his first loss since June 10 against the Diamondbacks. Musgrove (7.0 IP, 5 H, 2 ER, 2 K) took the loss in his last start against the Mets. Musgrove has allowed just three earned runs since the All-Star break and carries a respectable 3.63 ERA into his next start at Coors Field. Taillon (6.2 IP, 7 H, 3 ER, 2 K) earned the win in his last start against the Cubs. Taillon has been the ace of the Pirates’ pitching staff in 2018 and currently leads the club in ERA (3.74) and strikeouts (116). The Lakeland, Florida native has failed to allow more than three runs in a start since May 22. Marquez (7.0 IP, 3 H, 2 ER, 9 K) was superb but was left with a no-decision in his last start against the Brewers. Marquez has been outstanding for Colorado lately and hasn’t lost a start since June 24 against the Marlins. Marquez has thrown at least six strikeouts in four straight outings and is second on the pitching staff in strikeouts (129). Archer (4.1 IP, 7 H, 3 ER, 6 K) was left with a no-decision in his last start against the Brewers. Archer was recently acquired from the Rays and holds a career 3.00 ERA at Coors Field. The two-time All-Star (2015, 2017) has hasn’t had a win since May 17, but is 1-0 in his career against the Rockies. Trevor Story has been on fire for the Rockies lately (7-for-26, 4 HR, 11 RBI) with all four of those home runs coming against the Brewers. Story has been one of best Rockies at the plate in 2018 (.288 BA, 24 HR, 79 RBI, 14 SB). Carlos Gonzalez has continued to produce for the Rockies (9-for-27, 2 HR, 4 RBI) and currently holds a seven-game hitting streak. Gonzalez has already matched his home run total from last year (14) and is batting .348 over his last 86 plate appearances. Jon Gray (9-7, 4.73 ERA, 144 S0) has been lights-out for the Rockies since he was recalled from Triple-A Albuquerque (2-0, 1.52 ERA) and has pitched 7.1 or more innings in three of his four starts. Starling Marte (30-for-92, 7 HR, 17 RBI) has been a monster lately at the plate for Pittsburgh, and has been the catalyst of the Pirates’ offense in 2018 (.285 BA, 16 HR, 54 RBI, 25 SB). Gregory Polanco has continued to play well for the Pirates in 2018 (.247 BA, 19 HR, 62 RBI) and has been hot lately, going 15-for-49. Adam Frazier has been able to produce for Pittsburgh lately (13-for-31, 1 HR, 6 RBI), but has failed to make a significant impact for the Pirates in 2018 (.272 BA, 4 HR, 14 RBI). Chris Iannetta is just 2-for-32 of late and has had a rough go of things for the Rockies this year, hitting .216 BA, 7 HR, 22 RBI. Charlie Blackmon (3-for-31) has struggled mightily for Colorado recently and has seen a significant drop in his batting average from 2017 (.331) to 2018 (.277). Tom Murphy is just batting .227 since being called up to the big leagues this year and has failed to contribute much offensively for the Rockies (.227 BA, 2 HR, 11 RBI). Colin Moran has been ice-cold for the Pirates (6–for-30) and has had a mediocre year in 2018 (.264 BA, 8 HR, 40 RBI). Josh Harrison is just 12-for-58 at the plate lately and the two-time All-Star (2014, 2017) has been unable to do much from the batter’s box for Pittsburgh in 2018 (.253 BA, 6 HR, 29 RBI). Elias Diaz (15-56) has struggled recently for the Pirates, but has been a nice platoon catcher for Pittsburgh in 2018 (.289 BA, 7 HR, 25 RBI).